Is Pilates Right for Men? Unfortunately, many men still think Pilates is not for them. While it’s true that the majority of people practicing are women, Pilates was actually designed by a man — Joseph Pilates — and was originally called “Contrology.” Joe Pilates also taught wrestling and self-defense and used his methods to train police officers. During WWI, while living in England, he was interned with other German citizens by the British government. In internment, he taught his system to the other inmates, boasting that they would leave internment in better shape than when they arrived. In the words of one of our male students, Luke Tanner, Joe was one tough dude. So why aren’t men flocking to this type of exercise? Maybe most men just don’t know what it actually is. 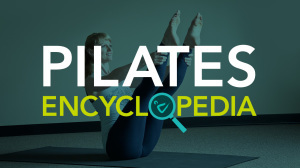 Which makes sense, because most people don’t know what Pilates actually is! Or maybe it’s because men prefer to work out on their own rather than in a class setting. Or that women enjoy the group experience more than men. Or maybe, many men have more traditional work hours and can’t get to the class times. Whatever it is, there’s a definite perception that Pilates is a woman’s exercise. But here’s the thing. Pilates is basically movement education. The muscles, tendons, and bones of a man work like those of a woman, because we’re all human. Pilates benefits everyone, in more ways than you might think. In Pilates, you’ll learn how to move more efficiently no matter what you do in your life. If you play sports, you’ll improve by incorporating Pilates methods, no matter what sport you play. If you lift weights, you’ll be able to do so in a way that heals the body as it strengthens. You’ll have better posture. Your back pain will lessen. You’ll feel better sitting at a desk, or playing catch with your kids, or doing whatever it is you do. For some men, like for some women, there might also be the factor of embarrassment, of admitting we don’t know how to do something or finding that something that seems easy is actually incredibly challenging. Whatever the reason men don’t tend to come to Pilates, I don’t think it has much to do with the system of exercise itself. If Joseph Pilates, cigar-smoking boxer and circus artist that he was, were still alive and teaching, the ratio of men to women would likely swap. Some of the most successful Pilates master teachers out there are men: Brent Anderson, president of Polestar Pilates, Rael Isacowitz, founder of Basi Pilates, Julian Littleford, Alan Herdman, Benjamin Degenhardt, and many others. Here is a picture of Joe standing — with his full body weight — on the abdomen of one of his female students. He did this to show off her amazing strength, but would a woman teacher ever think of doing that? I wouldn't! I still think it's cool. "I think the biggest thing that would change the way guys think about Pilates is if they knew first off that Joseph Pilates was an actual person, and a man at that. Most people I tell about Pilates have no idea. Secondly, if they knew that he devised the method to help injured veterans during WW1. Also, if they saw more guys doing Pilates, and if they saw Joseph Pilates himself. I also think that most guys don't realize that muscle is only helpful if it's flexible and if you are balanced in your body, with muscles, flexibility, and core. "Pilates is a perfect compliment to my distance running. Running requires a strong abdomen, and the routines we do in class strengthen those muscles. We also do a lot of static leg stretches, which relax my sore hamstrings and calves. Best of all, I've been taking Pilates classes for two and a half years and have not had any significant running related injuries since I began Pilates. I have a long history of hamstring pulls, stiff lower back, and calf injuries over the years, and having a strong core from Pilates workouts has helped prevent those injuries from recurring. I should also mention that since starting Pilates, I have to hold up my pants with my hands when going through airport security. The gut that used to hold it is gone." ~ Scott Morrison, distance runner. And last but not least, from Mark Naylor: "Pilates can do a lot for you. It strengthens and tones you, and it is fun and challenging. Try it, you'll see!” In other words: Just do it, man!